Please email info@hogsheadkc.com to inquire about catering opportunities. 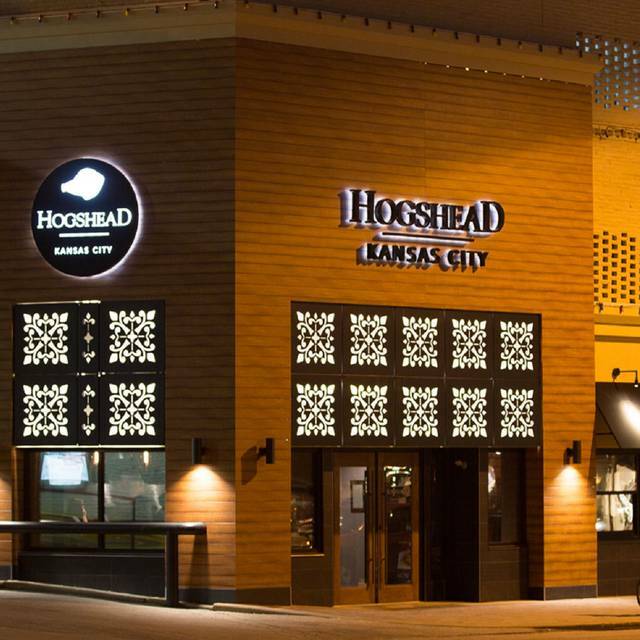 Hogshead Kansas City is a locally-owned and operated upscale creative American restaurant focused on seasonal and locally produced ingredients located in the Country Club Plaza next door to the now vacated Plaza III Steakhouse location at 4743 Pennsylvania Ave. Hogshead is the brainchild of Shawn McClenny and Clark Grant. 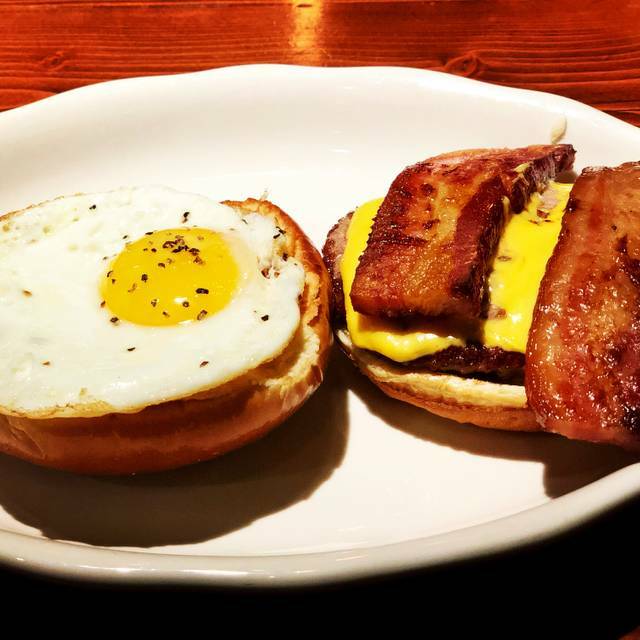 Grant and McClenny decided to open Hogshead after they began discussing their now award winning Bacon Cheeseburger. Hogshead followed up their Plaza Art Fair Best Food and Best in Show wins with a Runner Up performance at The Pitch’s BRUNCHED event. Hogshead's Lunch menu showcases salads and sandwiches. Our Brunch menu showcases soulful dishes from around the globe. Hogshead’s beverage program spotlights locally produced spirits and craft beers. The beer list is constantly evolving with new drafts being added multiple times per week. Stay up to date on their current draft selection and other events by following them on UnTappd, Facebook, Instagram, and Twitter. What a difference a year makes. 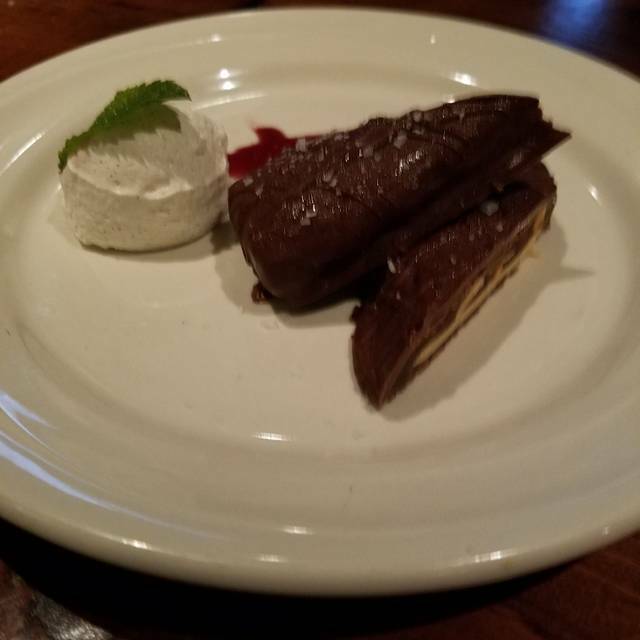 We loved Hogshead on our first few visits. Once a bustling fun dining environment seems to be have passed. Last night the restaurant was half empty, after 10 minutes and servers waking by us, we finally flagged someone to get us drinks. Food was mediocre, my salad was mush and my sons steak wasn’t prepared as ordered. We hope the owners will revamp their service and food preparation and bring back to the Hogshead we once enjoyed. The service was superb! The food was fantastic! We had the salmon & short rib and both were delish. I loved the casual chic atmosphere & music. I had a kombucha cocktail which was very tasty! We were not given the option to sit at the bar to view the open kitchen, so you may want to request this. We will be back as I’ve heard they have a great brunch. Service was great! Staff seemed invested in our experience. The restaurant was beautiful and comfortable. You should go here! The food was amazing and the cocktails were delicious. The only downside would be them being a bit understaffed. They were flying around everywhere trying to handle the volume, but they could have used one or two more staff members. Definitely worth the wait for us, but I did overhear a few customers complaining. Hope you guys made it out of there with your sanity! We plan to see you guys in the near future! 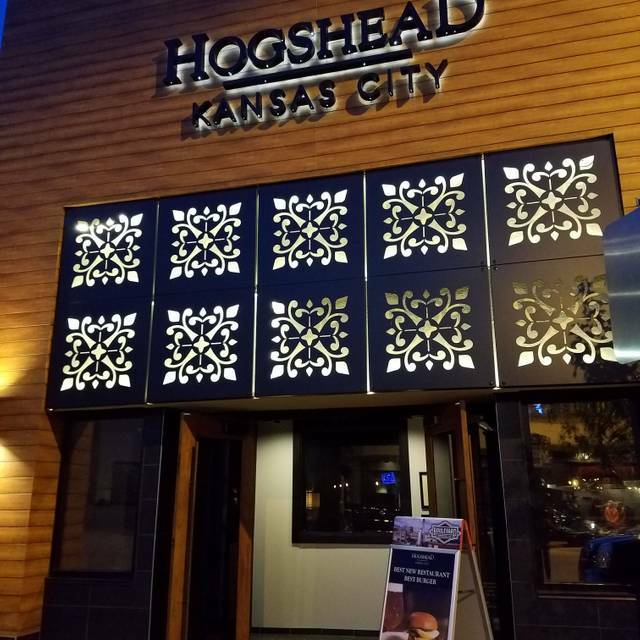 Hogshead KC was everything, and then some. From when we were greeted so kindly when we walked in, to the great service from our waiter! It was tough to make a decision on what to order because everything sounded so delicious. Long story short, both of our plates looked like they were licked clean. My husband and I were extremely pleased with our visit, and will be going back soon! I picked this place to have my birthday dinner based on the reviews posted on Yelp! I was really hoping this place was what people were noting in their reviews. Needless to say the restaurant ran out of certain apps/side dish, the smother greens was spinach lighted sauteed, the margarita was overly sweet. The main entrees were cold and my sister receive the smallest salmon with a plate of beans; and when asking the waiter she was told that was the standard size (not for no darn $25 is should not have been). The food was sub par, the atmosphere was OK, I would have rather left and went another restaurant but of course we were trying to give this place a chance. I would not recommend this restaurant or maybe go just for happy hour the atmosphere, food and drink will probably be plentiful and hot! vacant for the duration. The host put a damper on the entire experience with his dishonesty. This is our new place to go! LOVE sitting at the bar and watching those great chefs cook! Our server was great and the food was delicious! The food was good, but too pricey. Good service. 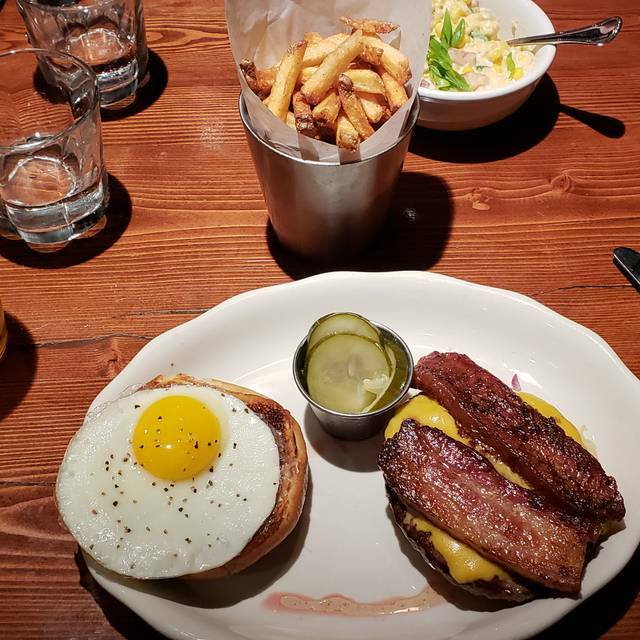 Loved the ambience, their poutine and donut bread pudding was great, had the burger but my bacon was burnt and didn't taste that great. Drinks were really good and all could be infused with CBD! We made reservations for dinner, after sitting for about 20 minutes no one ever waited on us so we left. Food looked like it was going to be good though. 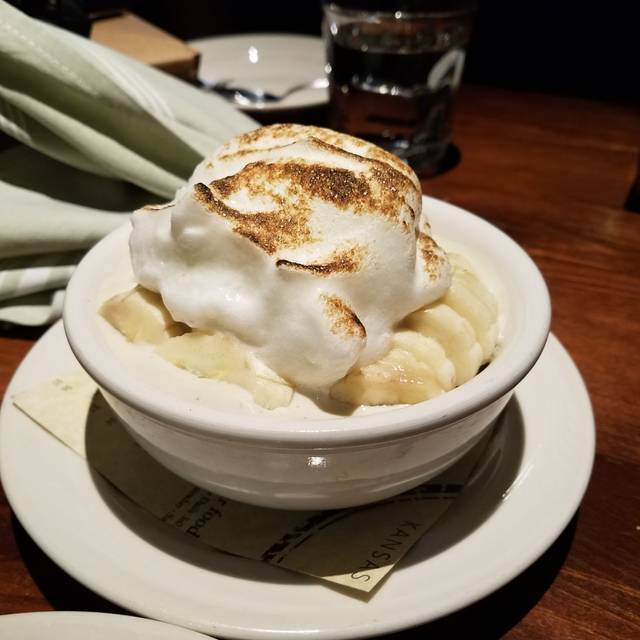 Our family loved our experience at HOGSHEAD. Atmosphere was modern, trendy and clean. The kids loved the fact that the booths had outlets for charging phones. Food was delicious. We will be stopping by next time at the plaza. Love Hogshead! Best burger in Kansas City! Love the bone marrow and meatballs too! I had the Bone Marrow appetizer and it was outstanding. My entree was the potato encrusted Mahi Mahi over Brussel Sprouts. I was very pleased. My wife had the beat salad with the Eggs Benedict. The pork belly was cooked perfectly and the borata cheese on the beat salad was the bomb. We had a lot of fun sitting at the kitchen bar watching the cooks. Delicious food and excellent service. We visited on a Sunday night and it was quiet. It was great! The food was delicious and the drinks were good. I loved the doughnut bread pudding!! Food was great. The Nashville hot chicken sandwich was excellent! Great drinks too. Very trendy ambience, and overall just a fun place for a date night. Great menu and atmosphere. We will go back and bring friends with us. Love the bottomless memosas. 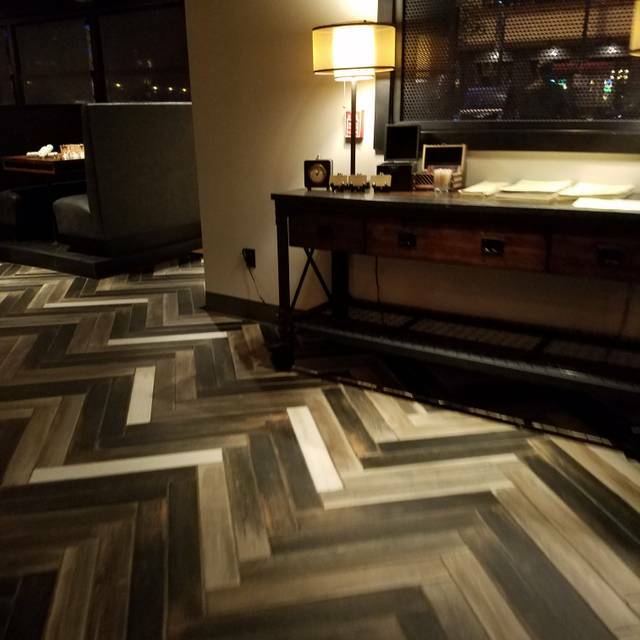 What a great addition to the Plaza Restaurant scene! Friendly staff, energetic ambiance, and amazing food with an off-the-chart approach to keeping it "local KC"! Recommended going on Tuesdays for the Nashville hot fried chicken. Every bit as good as the Nashville Hattie B's if not better! Food was wonderful, beautiful atmosphere. Unfortunately we were there along with a large group of younger kids so the noise level was a bit much. Our server was a little less than attentive but friendly, he did forget to ring in a side. Overall great experience, we will definitely be back. The food was excellent, with a knowledgeable helpful server. A little pricey but not horrible. We had a nice evening, BUT the experience was kind of ruined with music that was TOO LOUD! and a bit in our face. I asked two different people if they could turn it down a bit but no accommodation was made. This is a nice place and would be more classy if they would turn it down and soften it up a bit. The noise made conversation much less enjoyable and was just annoying. The food and drink was outstanding. Hogshead is one of my fav places in KC. IT never disappoints. BEST burger ever & the sides are wonderful esp the jalapeño cheesy corn & Mac & cheese. YUM!! Will def be back!!!! Great wait staff, expensive meal. Great atmosphere. Friendly prompt service. Both of our entrees were great and the date appetizer was super. V day w my oldest nephew and daughter. 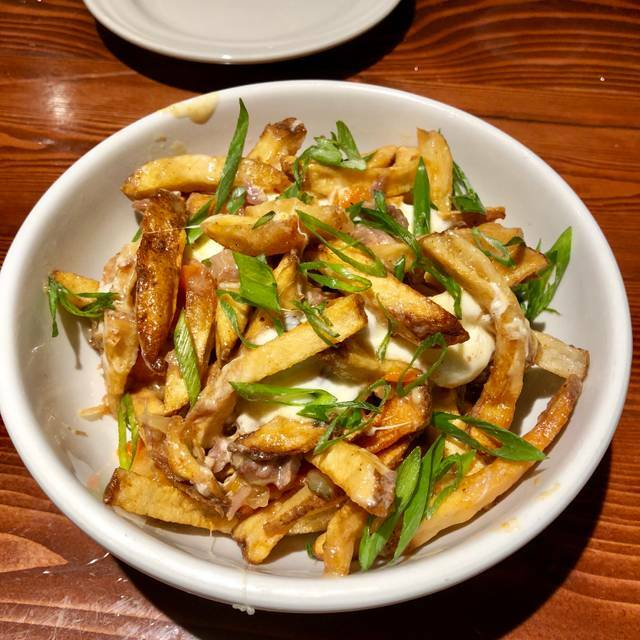 The poutine was amazing, as was the pretzel for our apps! Everything we ordered was great and our server was very patient and helpful w recommendations! We look forward to our next visit! Delicious food, great drinks (bottomless mimosas!!!! ), great wait service. Highly recommend for weekend brunch! Food is not worth the price. We are happy to spend a pretty penny for delicious food but the food sadly was not worth the price. The poutine, however, was delicious! Our Mahi Mahi came out luke warm and barely had any seasoning on it. Our server was one of the most unfriendly servers I have come across. I have worked in the service industry for years and I don't think I have ever had such terrible service. I believe her names was Ashley? She barely came to our table and when she did it was not a pleasant experience. We love food and were only in town for one evening so it was disappointing. The atmosphere was wonderful though! Went for Sunday AM brunch, and it was fine. Grits for both my wife and uncle were cold, but my standard breakfast was pretty good. The bacon was great, always is. My aunt was surprised they didn’t have any kind of warm tea (or any tea bags). Service was good. Hogsheads was great!! My father asked for tartar sauce and even though they did not have it, they made him some from scratch. Amazing service, great food and nice people!! Creative menu and its well executed. Short rib and KC Strip amazing. Save room for the bread pudding (made w donuts). Almost worth putting on heart plaque. The IPA choices were small and mediocre. Please get Bells two hearted ale or boulevard double wide. Otherwise fabulous. Busy restaurant week vibe but the food and atmosphere was great. Thoroughly enjoyed our plates! My husband and I went out for dinner for restaurant week. We wanted to try something new that we hadn’t had before. We sat at the chef’s counter and loved seeing all the action. The chef interacted with us and explained the concept of the restaurant. We love that he sources from local artisans. The food was fabulous. I ordered the KC strip which was almost 2” thick and cut like a filet. Cooked perfectly, it melted in my mouth! We can’t wait to go back to try the Nashville chicken sandwich and pork chop! This was our first time at Hogshead. 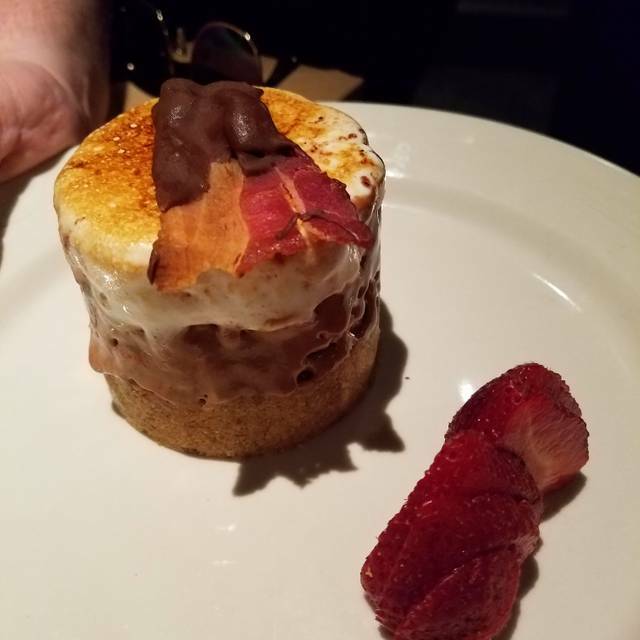 Went during restaurant week! The food was great! Loved the cheese burger and beet salad! The food was slow in coming out. The entree was cold, the soup wasn’t even warm. We took the desert to go and it was cold. You would have thought they would have warmed it up a bit. I’ll never eat here again. Great food, our waiter Ryan was excellent. Highly recommend.